I want a complete set of Buizel Zukan ( it is composed by three parts). And the set of Chimchar. Please, if you have it and you wanna sell to me, say me the total price with shipping to Lima, Perú. The auction on these kids figures ends today at 10pm est, that's in a little over 12 hours! Shaymin still has no bids and Sawsbuck, Jellicent, Zekrom, and Luxio are all still at their starting bids! Due to circumstances beyond my control, I may or may not have reliable access to the internet when the auction is due to end, but I will do my best to notify the winners and get shipping totals out asap! You can get to the auction by clicking on the picture above or here. 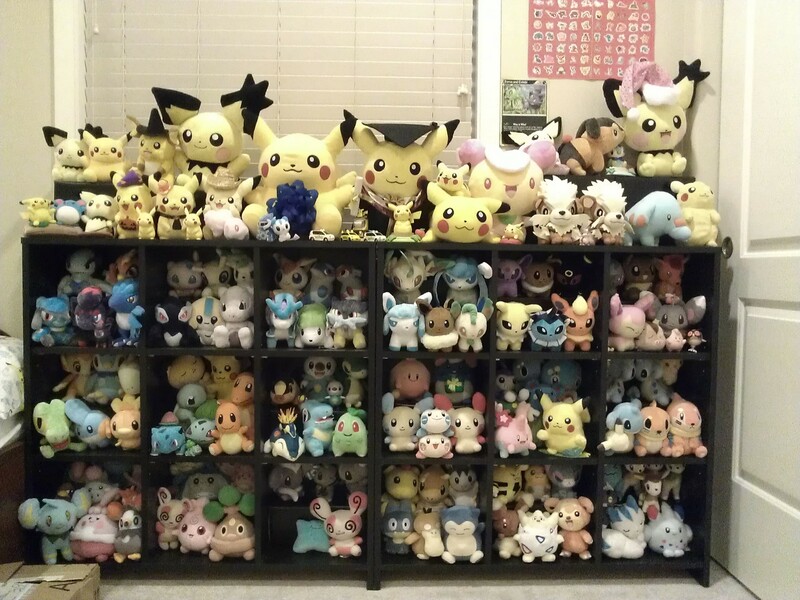 But anyways, I finally organized (most) of my Pokemon merch, and have better photos to share! If you won anything from either of these auctions, please look under the cut for your payment due. EDIT:!! I'm not posting the extras until I ship out what currently is already packed and ready to ship. I am taking one thing at a time. Please send payment for what you already won. If you won something from both GAs, your shipping was combined. Tracking #'s will be given out after your item ships. As for feedback, I will be doing that after everyone has paid payment 2. At that time, I will also ask for feedback, so don't worry, this will come later. Once your payment 2 payment is made, your item(s) are good to ship. I will be making a huge trip to the post office on Tuesday, so get your payment 2 in by then to avoid missing being shipped in the first round. My Pokemon + Durant Collection! 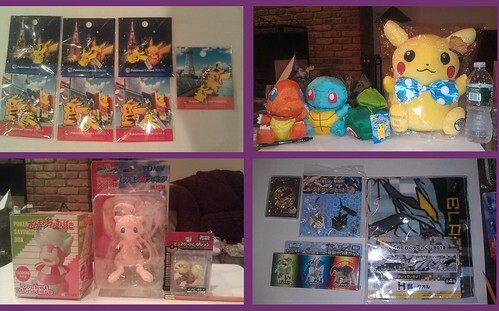 Hi everyone, I'm just wanted to show you my Pokemon and Durant collection today. I don't have a HUGE collection but I guess it's good. I did have alot more, but sold them a couple of years ago. Hi all!! I'm back to organize another large pick up post for denkimouse. 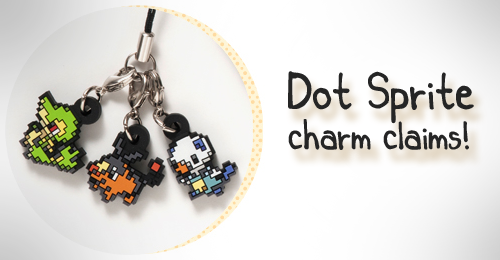 :3 This is for the Dot Sprite charms! 173 Pokemon are available in this promo! We assume it's mostly BW Pokemon and their formes +Pikachu. Info is under the cut! And one little reminder! Pokemon Mate straps are being released soon! Now would be the time to claim more or drop any claims you may have with them. Have you ever gotten that one item in your hands and thought that you'd never see the day where this dream would come true? For a long time, I did... and then... these precious little rarities appeared in my mailbox earlier this week. ♡ I've got pictures of these amazing new charms as well as a group shot of my entire collection contained within this post... you don't want to miss this! If you could decide what new set of Pokedoll charms the Pokemon Center would sell, which charm/charm set would you choose? I've also updated my collection site with pictures of my new charms. If anyone wants to exchange links, please let me know! In truth, it didn't turn out as well as others I had done, but the concept is still valid. I also decided to post some up for sale on ebay (most I haven't posted yet, but do let me know if there are any specific ones you'd like me to post up). 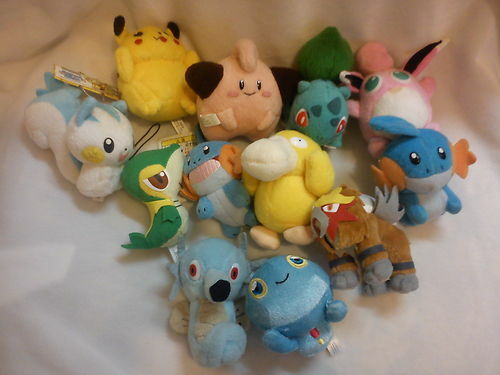 I have serveral duplicate Pokedolls that I haven't included in my collection photo that I might be selling as well as ones that I just purchased/received today (ex: Giratina, Dialga, Chimchar, Turtwig, Squirtle, Charmander, Treeko, Mew, Latios, Torchic, Pikachu, Mudkip, Chikorita, Ho-oh, Palkia, etc). Hello everyone! 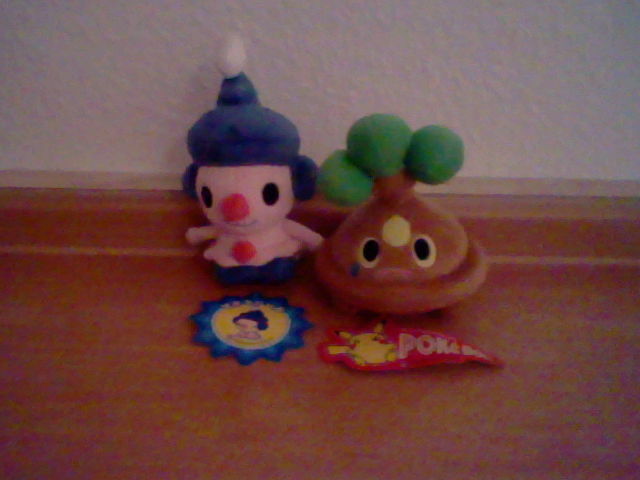 I've come bringing you pictures of my new additions~ I'm super excited because this update includes an Audino pokedoll! I've been wanting one for forever because of how cute it is! It's inspired me to start collecting Audino, though it'll be a side collection for now. WANTS: I'm looking for anything that's not stickers or stationary. Here's a gallery of my wants but I haven't included anything for Exeggutor, Exeggcute, or Audino just yet or at least not my full wants. I'm still gathering pictures for them. If you have something for sale, let me know! I'm looking for Persian, some meowth (festival and Nya-Meowth), Chimecho, Chingling, Whimsicott, Cottonee, Exeggutor, Exeggcute, and Audino! Here is a gallery of the things I've found so far that I'm interested in! 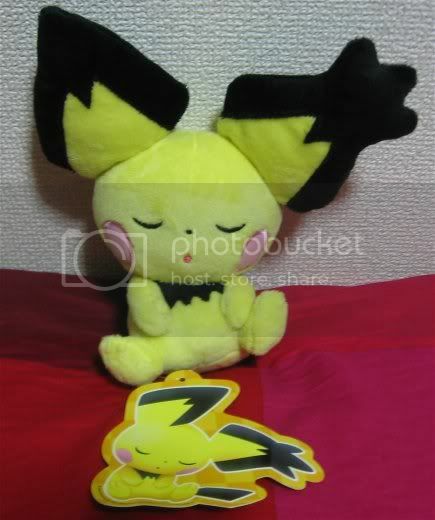 These are the two cuties :3 Both in mint condition with hang-tag detached, hang-tags are also mint. My special deal would be both of them for 30$ shipped! I'd prefer to sell them as a pair, but would be willing to seperate them. In that case it would be 20$ shipped for Mime Jr. and 15$ for Bonsly.